Those of you who have followed us over the years, will know of our mother-company Gold & Silver (started by Chris’ grandfather back in 1946, and run by his parents, Lawrence and Liza Lim for the last 30 years). Times have changed, our company is evolving. To make room for the new More than Diamonds, we will be clearing all jewellery items from Gold & Silver during our Christmas Sale. 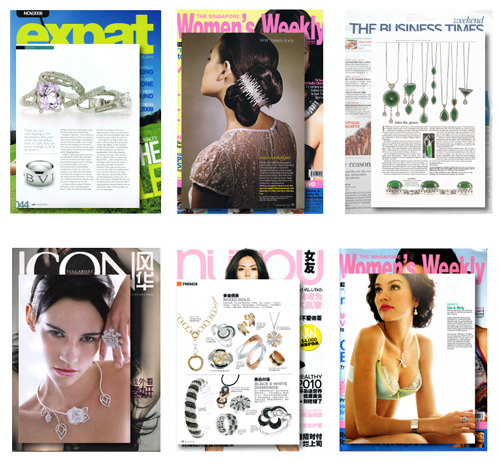 In this process, we wanted to find out more about the jewellery trends throughout the years and what to look out for in future. The clear choice was to go straight to the source, Liza Lim, Creative Director of Gold and Silver, chief designer and purchaser for the last 30 years. What kind of jewellery has been the most popular throughout the years? Diamonds have definitely been the most popular throughout the years, but a large number of expats and tourists like precious stones like Sapphire and Ruby. 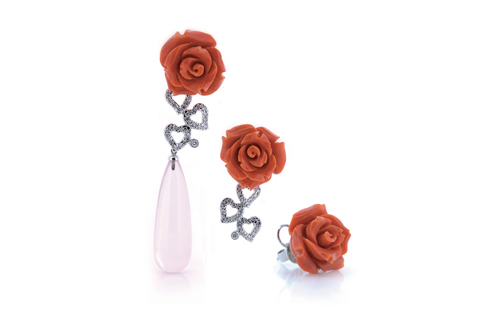 They are especially popular to commemorate a special occasion, like child birth or an anniversary. What is your personal favourite? I have always liked Jade, because of the beautiful green colour. And as a Chinese, Jade is always close to the heart. What is your speciality? I have designed most of my Earrings and Pendants detachable with versatile wearing in mind. It can be a Diamond stud that you wear on its own for work, and add a South Sea Pearl for a function. There are several pieces that you can mix and match, so that you can wear the colours you need as well as the right level of dressiness to suit the occasion. What do people usually buy as their first piece of jewellery? And what comes after? 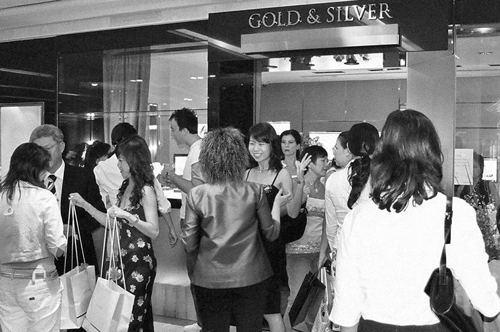 Singaporeans like pampering themselves, so when they come up to a certain age, they like investing in a piece of genuine jewellery. Pendants are often the first choice, although many like rings because they are more visible and easy to wear everyday. 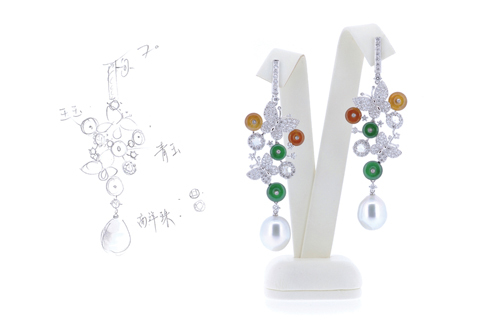 Most Europeans will buy a simple pair of earrings as their first piece and wait to buy a ring until they receive an engagement ring.